The coming of snow and winter often brings out the best in people. New Belgium is launching a holiday program that aims to help others by donating a portion of the sale of glassware to those in need. Please read the following press release to read about this new holiday venture from New Belgium Brewing. Ft. Collins, Colorado, October 27, 2011 – A glass filled with beer is joyous any time of year, but add a splash of philanthropic giving and it tastes even better. New Belgium Brewing, maker of Fat Tire Amber Ale, is giving back during the gift-giving season by offering beer globe glasses that benefit nonprofit organizations. Each winterized two-pack gift box is available for $8.99, with $1.00 from each purchase going to one of four participating beneficiaries. Visitors to www.newbelgium.com can select “The Glass That Gives” to purchase glassware and designate which organization they would like to support. New for 2011, New Belgium will roll out smaller 12/14 oz. glasses (12 ounces to the line, 14 ounces to the top) in addition to the classic 16/18 oz. globes (16 ounces to the line, 18 ounces to the top). Many bars will also feature the glasses with a new rack specifically designed for the New Belgium globes. • Save the Colorado Foundation (www.savethecolorado.org), which is focused on supporting environmental organizations working to protect and restore the endangered Colorado River. In addition, New Belgium is asking people to upload images of themselves with their New Belgium glassware to New Belgium’s Facebook page (www.facebook.com/newbelgium). For every photo uploaded, New Belgium will donate $1.00 to one of the selected nonprofits. Even better, every time it snows in Ft. Collins, New Belgium will handpick a few fans who have uploaded to receive their own glassware. New Belgium’s globes, which were first introduced in 2009, continue to fly off the shelves. Built from stem to lip to enhance the beer tasting experience, the globe shape captures and directs the beer’s aromas toward the nose, while a narrow opening benefits the foam; the logo etching on the bottom of the glass provides nucleation, designed to refresh and release flavors and create a continuous stream of bubbles; and it is all balanced atop a sturdy stem to keep hands from warming the beer and to allow for unobstructed viewing pleasure. Visit New Belgium’s holiday party at www.newbelgium.com to buy globes and other goodies. The glassware will be available from November 1 to December 31. 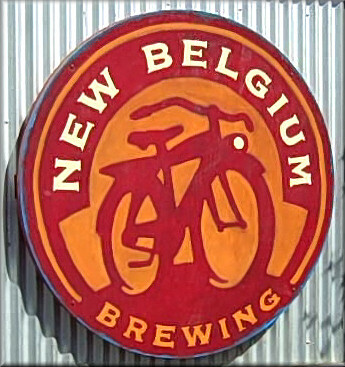 New Belgium Brewing Company, makers of Fat Tire Amber Ale and a host of Belgian-inspired beers, began operations in a tiny Fort Collins basement in 1991. Today, the third largest craft brewer in the U.S., New Belgium produces nine year-round beers; Fat Tire Amber Ale, Sunshine Wheat, Blue Paddle Pilsner, 1554 Black Ale, Abbey, Mothership Wit, Ranger IPA, Belgo IPA and Trippel, as well as a host of seasonal releases. In addition to producing world-class beers, New Belgium takes pride in being a responsible corporate role model with progressive programs such as employee ownership, open book management and a commitment to environmental stewardship. 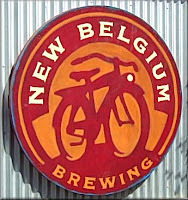 For more information, visit www.newbelgium.com. - New Belgium Glass That Gives program is going strong. - New Belgium gave Joy Rides to thousands. - New Belgium pulls off a Clutch Kick.